History of different periods is tried to compile in one. words from the robust production of Akbar of the voluptuousness of Shah Jahan. of line from and sensuousness generally reflecting those exalted conditions that not uncommonly prevail when a ruling power has attained its greatest elevation. 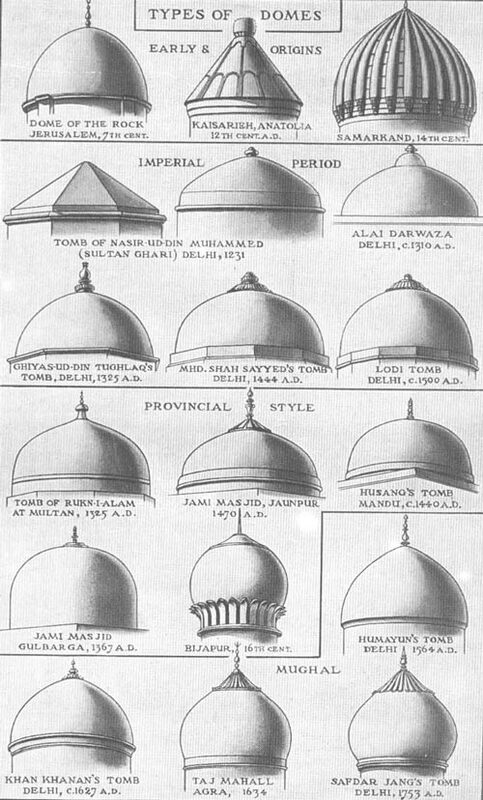 The replacements by the emperor Shah Jahan of the stone buildings in the palace-forts of Agra and Lahore by marble pavilions appear to have been carried out intermittently .during this monarch's reign, some of these newer structures being early examples while others were added when the style had arrived at its ripest state. For instance at Agra, the first of these marble halls to be built was the Diwani-Am, dated 1627, the same year that Shah Jahan ascended the throne ; this was followed some ten years later by the Divan-Khas, the double columns of which are among the most graceful of all those produced during this reign (Plate LXXXIX) ; finally there was that superb example the Moti-Masjid, or Pearl Mosque, which was not added until as late as 1654. At varying intervals the others of this range of marble palaces and pavilions were erected such as the Khas Mahall, the Shish Mahall, the Nagina Masjid and Musamman Burj with its adjacent portico containing a lovely sunk fountain, each conception executed in the most chaste and exquisite manner. Of all these elegant marble creations none can equal in refinement the Moti Masjid, a matchless example of the style. Not only does this mosque building show an unrivalled mastery of the material as well as the extent to which it may be artistically manipulated, but its architectural treatment is thoroughly and organically sound. Its chief qualities may be observed in the felicitous proportioning of the arcades hi the facade, the skilful contrasting of these with the colonnades of the cloisters and arched entrances, the delicate shape and melodic disposition of kiosks over the parapet, the subtle effect produced by raising the central dome on its drum, and above all in the flawless nature of the material, all of which have combined to give this building an appearance of rare and moving beauty. The alteration in the group of palaces within the fort of Lahore were .similar to those effected at Agra, a number of Akbar's sandstone structures being swept away to make room for pavilions of a more approved type. In their place rose most of the buildings towards the northern side of the enclosure such as the Diwani-Am, the Khwab Garh, the Shish Mahall, the Musamman Burj, and the Naulakha, but some of these have again been subjected to modifications and elaborations at a later date. in a systematic i orm manner. It is also note worthy for the fact that according to contemporary records the more important portions of the work were designed and executed under the personal direction of Shah Jahan himself. Unfortunately subsequent events have caused considerable parts of this great composition to be either dismantled or shorn of much of its magnificence, although enough remains to give some idea of it as originally planned. 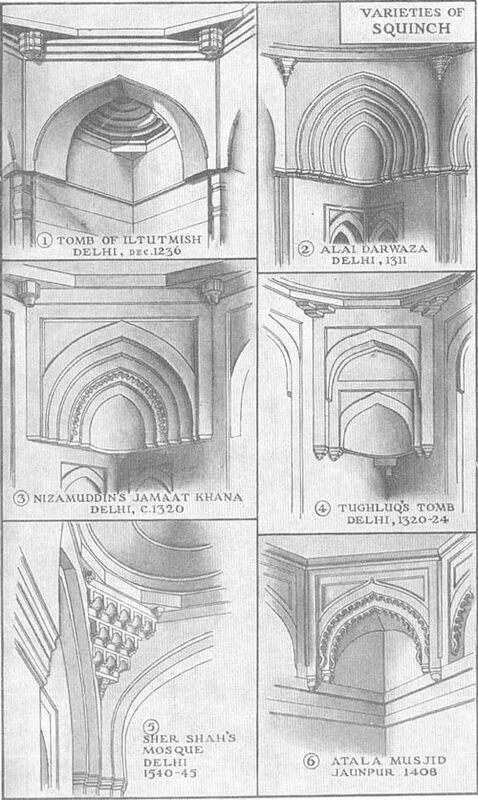 The fort of Delhi in plan approximates an oblong 3100 feet long and 165o feet in width and is aligned from north to south, an orientation no doubt so devised as to prevent the symmetry of the whole being disturbed by the fixed orientation of the mosques, a defect which is only too obvious in the plan of his predecessor's capital at Fatehpur Sikri. This parallelogram at Delhi is enclosed within a high and strongly fortified wall in which there are two main gateways, one in the middle of the long side on the west and another on the south side, the former being the principal and ceremonial entrance, while the latter is for more private use. From these gateways two thoroughfares pass into the fort interior, intersecting one another at right angles towards the centre of the composition, the main approach from the western entrance, or Lahore Gate, taking the form of a broad vaulted arcade, a most imposing introduction to the inner precincts. These two thoroughfares communicate directly with a large rectangular area occupying nearly two-thirds of the whole space, and itself contained within surrounding walls, in a word an enclosure within an enclosure. This inner area, measuring 'boo feet by 1150 feet, its further side aligned along the eastern rampart thus overlooking the wide expanse of the river bed, accommodates the whole of the private and royal apartments ; outside this, and within the rectangular space remaining are the service quarters, such as bar-racks, servants' houses and other edifices of a miscellaneous order. It is in the former enclosure, therefore, that the palaces and pavilions are located, and here the finest architecture is to be found, this portion having been planned according to the most palatial ideals. (4) is the range of marble palaces, one side facing the gardens and the other commanding an open view of the river. Every feature of this plan is regular and formal, most of it being laid out in squares, there is hardly an oblique line or curve in the entire scheme. The finest art was lavished on the succession of palaces along the eastern wall so that when in its prime no series of buildings could have been more resplendent. As originally planned there were at least six of these marble structures rising at irregular intervals above the ramparts, their balconies, oriel windows and turrets surmounted by gilt cupolas giving this outer aspect of the fort a picturesque and romantic appearance. On their outer side these pavilions were closed except for screened windows and other similar openings, their pillared frontages and more stately architectural effects being reserved for the inner facades looking out on the gardens inside the fort enclosure. Included in this range of buildings, besides the palaces, were a hall of private audience and a luxurious hammam or bathing establishment, and between each structure there were wide courts and terraces protected by graceful balustrades or perforated screens on the rampart side. Two of these buildings were larger than the others and of exceptional richness in their architectural and decorative treatment, typical of the style in its most opulent mood. Such are the Hall of Audience and the Rang Mahall, and from these two examples it is possible to study not only its architecture but to recall some of the past life and thus to revive the dead glories of this remarkable conception. In the broad features of their architecture these two buildings have much in common, and these features again are common to the style as a whole. Each structure takes the form of an open pavilion in one story, their facades of engrailed arches shaded by a wide eave, or chajja, above which rises a parapet and from each corner a graceful kiosk. The interiors also consist of engrailed arches in intersecting arcades which divide the whole space into square or oblong bays, each bay having a cavetto or cyma recta cornice and a flat highly decorated ceiling. There are no pillars, their place being taken by massive square or twelve-sided piers, a formation which also gives a spacious soffit to the arches, a factor having no little influence on the effect. For, viewed from any angle, owing to the double and some-times fourfold outlining of the underside of the arches, these interiors present a perspective of flowing curves and arcuate shapes, of volutes and crescentic forms, expressive of the soft luxurious use to which these structures were applied. In addition there is the ornamentation distributed over every portion, of gilt, coloured, and inlaid patterns in sinuous scrolls and serpentine lines accentuating that atmosphere of voluptuousness with which these buildings were so obviously associated. Within the traceried foliations on the walls, piers, and arches, conventional flowers were freely introduced, roses, poppies, lilies; and the like, for the Mughuls were flower worshippers, not content with those growing naturally in the gardens.